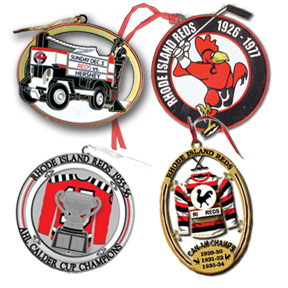 Providence, RI (11/29/2012): You can become a member of the Rhode Island Reds Heritage Society and receive a free Heritage Society Christmas ornament under a special holiday membership promotion. For an annual fee of only $20, you can become a member of the Rhode Island Reds Heritage Society. <,li>Invitations for you, your family and friends to attend special events, including our annual reunion of members, former players and other VIPs. In addition, new members who join in December will receive a free Heritage Society Christmas ornament.